Fine. In fine packaging. 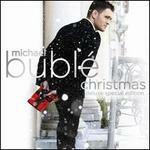 Michael Buble-Christmas [Special Edition: Bonus Tracks] by Michael Buble. Very Good. In very good packaging. Michael Buble-Christmas [Special Edition: Bonus Tracks] by Michael Buble.